This Division is in charge of reducing the risk of fire and loss of property in our Town. We are committed to teaching the public about preventing fires and what to do if one should happen. By visiting schools, community groups and other organizations we are able to teach everyone about fire safety and prevention. We also inspect buildings to find and remove fire hazards and to make sure that buildings are in compliance with the Ontario Fire Code and other rules and regulations. When a hazard is found the Inspector will contact the owner of the property and work with them to make sure the hazard is fixed and/or removed. Depending on the seriousness of the hazard a deadline to fix the issue will be given or it may have to be fixed right away. The two mandates of this division are to enforce the Ontario Fire Code and Fire Protection and Prevention Act and to provide fire safety education to the residents. 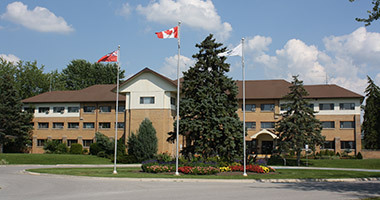 To have your business or building inspected contact us at 905-476-5167. Please note some inspections may be subject to a fee.